When I was a young Jewish boy in the 1960’s the world was a very different place. As my dear friend Led Black has said to me, “that was before the Jews became white.” Just some twenty years after the Holocaust, American Jews, especially Jews like me and my family—we had lost over one hundred family members to the Nazi attempt to wipe out an entire people—were particularly pre-occupied with the event. It cast its shadow on everything we did, and it stoked a level of both fear and depression that controlled many of the choices we made in life, where we lived, where we went to school, what professions we chose, to avoid anti-Semitism and to protect my young generation from experiencing it. What our parents and grandparents weren’t aware of was that their preoccupation with the subject and protecting us from it only made it more obvious, and more frightening. My generation was born into that fear, and the lack of self-confidence that went with it. What changed us? The arrival of books, and more specifically films, that portrayed Jews in a different light; not as victims but as the masters of their own destinies. Films like Exodus, based on the novel written by Leon Uris, and Cast a Giant Shadow, the story of Micky Marcus, an American Jew and West Point Graduate who helped train the Israel Defense Forces. We became proud of Jews who fought for themselves. So, what does this have to do with the film, Black Panther? It fills that same need for young people of color today that films like Exodus did for young Jews of my generation. The Holocaust, as terrible as it was, went on for twelve years. Slavery, and the oppression that followed, has gone on for nearly 500 years. If the trauma of the Holocaust can be passed down from one generation to another, so can the trauma of slavery and Jim Crow and the current attempt now underway to wipe the experience of people of color from our history. That’s why Black Panther matters. It doesn’t matter that the story is fictional. Uris’s version of the story of the Exodus, a refugee boat that ran the British blockade of Palestine after WWII is fiction. The boat was never admitted to British controlled Palestine, the refugees were sent to detention camps on Cyprus. But the fictional story resonated. It still does. The same is true of Black Panther. Young people of color need to see themselves on film, they need heroes who look like them. While Wakanda is a fantasy, why can’t it be viewed as a possible fantasy, a world that might well exist, if Africa, whose history is barely glossed over in our educational system as a land of illiterate primitives, had not been overrun by European slave traders, their cultures decimated by European colonialism. 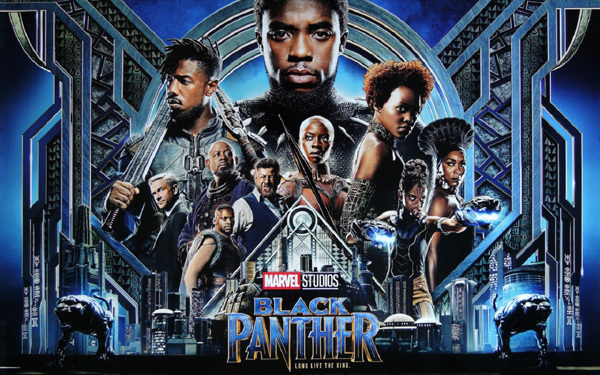 The film takes an obvious and honest comparison of two men, cousins, who grow up under different circumstances in different cultures, one in Wakanda and one in America. The honest appraisal offered by the film is that the oppressive nature of life in America for people of color has damaged one of these men. The other, after much conflict, (not telling you any more, no spoilers here) sees the possibility of redemption. The one damaged by oppression does not. The images offered by this film of a just and caring society in the secret heart of Africa, empowered by advanced technology and self-confidence are crucial to all people, but especially to young people of color. It affords them pride in believing and knowing that their color is not an albatross around their neck but rather wings upon which they can soar as high as their dreams take them. That’s why Wakanda matters. A.J. Sidransky is an author and lives in Washington Heights with his wife and son. His most recent novel, Forgiving Mariela Camacho, was the recipient of the David Award for Best Mystery of 2015. Learn more about him at www.ajsidransky.com.